Resid'ilaverde - furnished t1 rental 50 m2 Hypercenter. 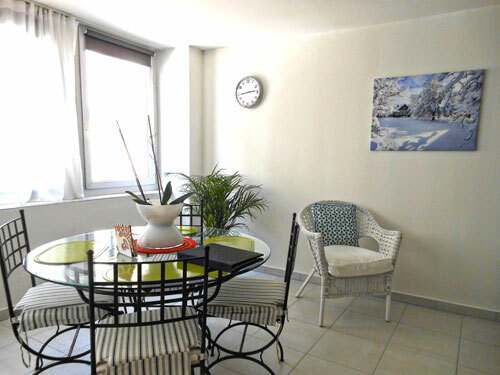 This apartment located in the center of Grenoble is ideal for 2 people, located on the 2nd floor with elevator next (150 m) to pedestrian center and next (50 m) to Tramway - line A and B ("Place de Verdun" station). Facilities: Fully equipped kitchen with Nespresso coffee machine, refrigerator/freezer, microwave, kettle, washer, dishwasher, bouquet Numéricable: plasma TV and WIFI high-speed broadband.